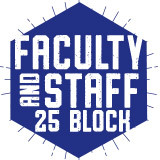 Available to Faculty and Staff members. 25 Meal Block Plan for $140. Please contact the Dining Services office to purchase this plan.